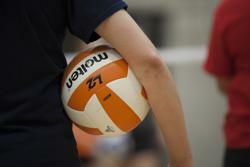 The Sanford Sports Complex will soon be welcoming more than 120 volleyball teams from around the Midwest for the AAU Grand Prix Volleyball Tournament on April 13-14. This 5th annual tournament will be spread out across the Sanford Sports Complex with games being played at both the Sanford Pentagon and the Sanford Fieldhouse. Teams will be representing six states including South Dakota, North Dakota, Minnesota, Iowa, Nebraska, and Wisconsin. The winning team of the tournament will receiving entry into the AAU National Championship in Oralando or the AAU West Coast Championship in Las Vegas. The tournament is being hosted by the Sanford Pentagon Volleyball Club. The club is hosting a total of six events this spring with this being the largest. This two-day tournament is open for the public to attend.